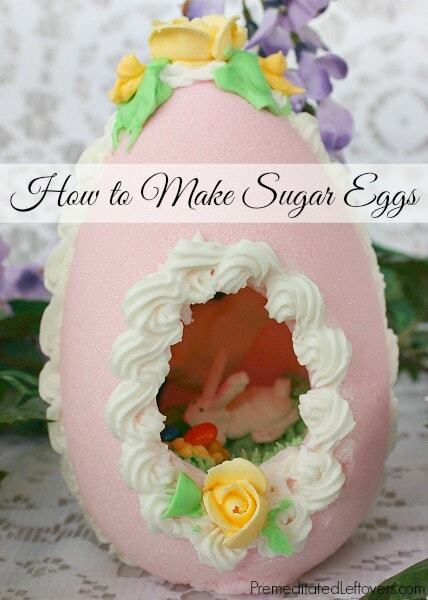 A beautifully decorated sugar egg is a delight for young and old alike. It is sparkly and dressed for spring on the outside, and has a lovely scene to discover on the inside. 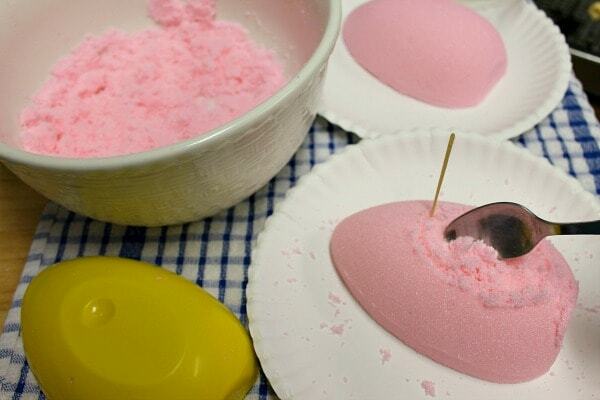 Making the sugar egg shell is very simple and just requires sugar (regular is fine, but superfine sugar will make a more solid egg), water, and a little bit of food coloring if you choose to use it. Decorating and creating the panoramic scene can be as easy or complex as you desire. Store-bought candy flowers, edible Easter grass, and candy or toy miniatures will make the project go quickly. If you would like to exercise your creative side, make the decorations by hand using royal icing – or try experimenting with gum paste, fondant, or chocolate clay. The sugar eggs pictured have candy coated sunflower seeds for the tiny eggs and sour licorice strips for the rainbow. Everything else was made from royal icing or sugar. 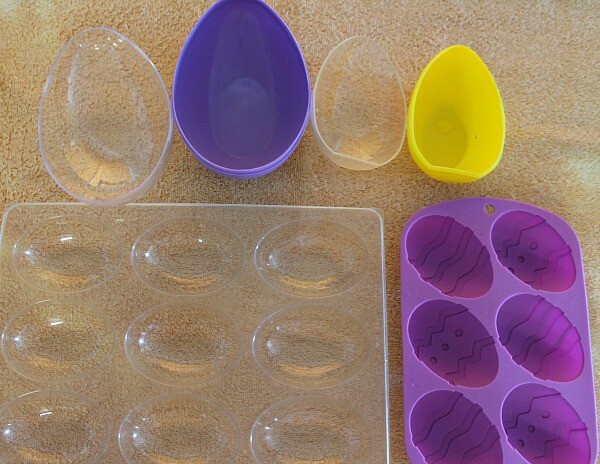 You can buy plastic egg molds that are made for this use, or find plastic eggs for sale with Easter grass and candy in them, which work perfectly. Some lay down with the view hole in the pointed end of the egg, and some stand up, with the vertical view hole in the front. Depending on the size of your molds and how many you intend to make, you may need to increase the recipe below. Just add more sugar to the bowl and add a teaspoon of water at a time until the mixture holds together in your palm. 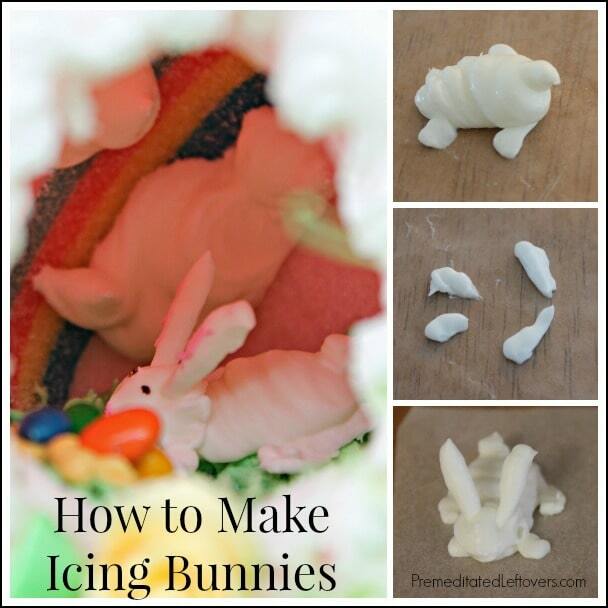 Make the royal icing first if you plan to make flowers, bunnies, or rainbows! 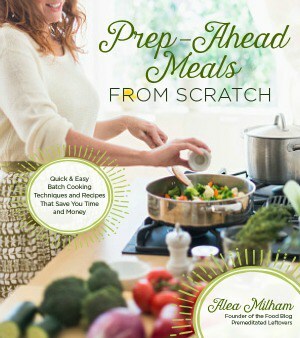 And if you’re making more than one egg, you will want to double the recipe! 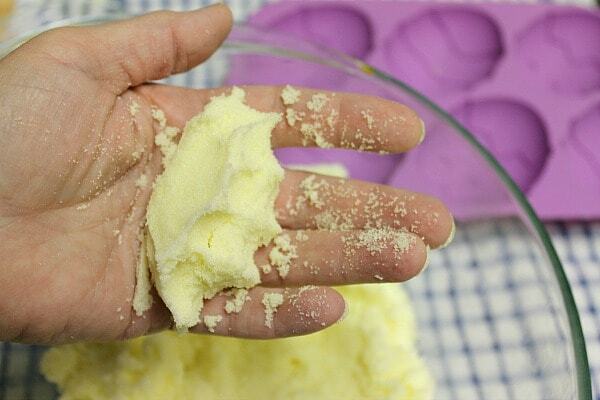 In large bowl of stand mixer, combine dry ingredients. Add water and beat with cookie paddle or whip for 7-10 minutes, or until stiff and glossy. Keep covered. 6 cups sugar (regular or superfine) Here is how to make superfine sugar. 1. 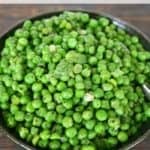 In a small dish, combine the water and enough food coloring to make a fairly rich color; it will appear lighter when mixed with the sugar. 2. 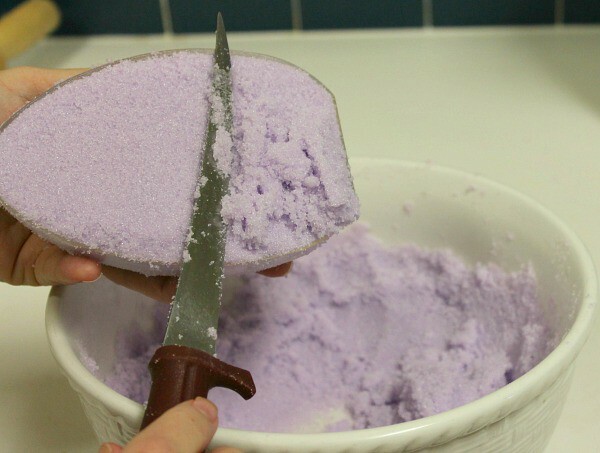 Place sugar in a large bowl and drizzle the colored water in a little at a time, mixing well with an electric mixer. Add more or less water to make a mixture that will hold together in your hand when you squeeze it. Make sure it is very well combined so you don’t get any dark spots on your finished egg. 3. Pack the sugar firmly into plastic molds and level the top with a knife or spatula. Pat gently, and add more if necessary to achieve a firm level top. 5. If you are making an egg that will lie horizontally, take a sharp knife and cut the tip off of both pieces. 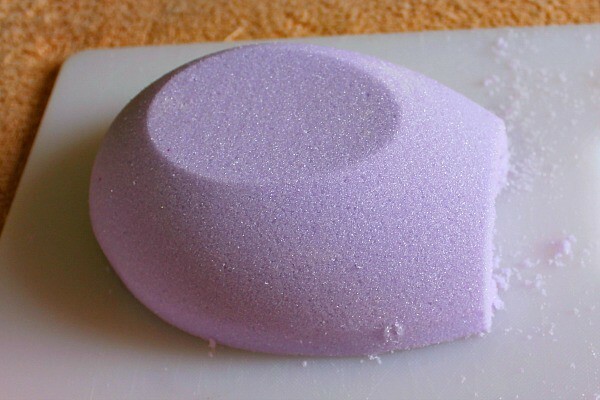 The amount you cut off varies with the size of the mold, so just make sure to cut enough to make a generous view hole. 6. With a toothpick, mark a curved line between 1/4-inch and 1/2-inch from the top of the egg, following the curve. With a spoon, scoop a little bit out under the line where the view hole will be. 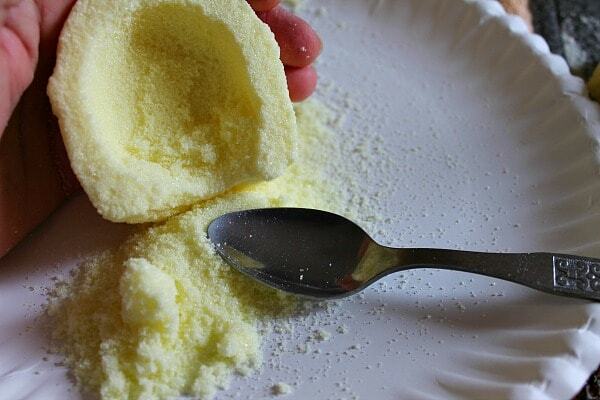 This will make it a lot easier to work with when you are scooping out the egg. 7. If you are making an upright egg, the mold should have a flat spot where the hole will be. After the egg is turned out of the mold, trace around the area with a toothpick and carefully scoop a small amount of the sugar out of the flat spot. 8. Let the eggs sit. If you want a sturdy egg, let it sit 3 hours. If you want to make a thinner (but a little more fragile) egg which will let more light inside, let it sit 2 hours. Hint: If you plan to make royal icing flowers or Easter decorations, now would be the perfect time, because they need to dry for several hours. Instructions below. 9. Pick up one egg half and turn it over, resting the curved top in the palm of one hand. With a spoon, beginning in the center, slowly scoop the soft sugar out. (This can be put back in the covered bowl and used for more eggs.) You will feel when you hit the hard crust. Go gently, scraping it smooth. For a horizontal egg: at the tip of the egg where you made the curved line, use a small sharp knife to gently scrape away any sugar outside of your line. When the two halves are put together, this is your peep hole! For an upright egg: you will need to carefully scrape out the opening in the center of the front half of the egg, using a small sharp knife. You may smooth it with a nail file if needed. 10. To decorate a horizontal egg: It’s fun to put a little blue icing on inside of the top shell for sky, and add some white icing clouds. Put a layer of green on the inside of the bottom shell. Add edible Easter grass, colored coconut, or royal icing grass, using green icing and a #233 decorating tip. To use the tip, start squeezing before you touch the tip down, and keep squeezing as you’re pulling up. Practice first on a piece of waxed paper. 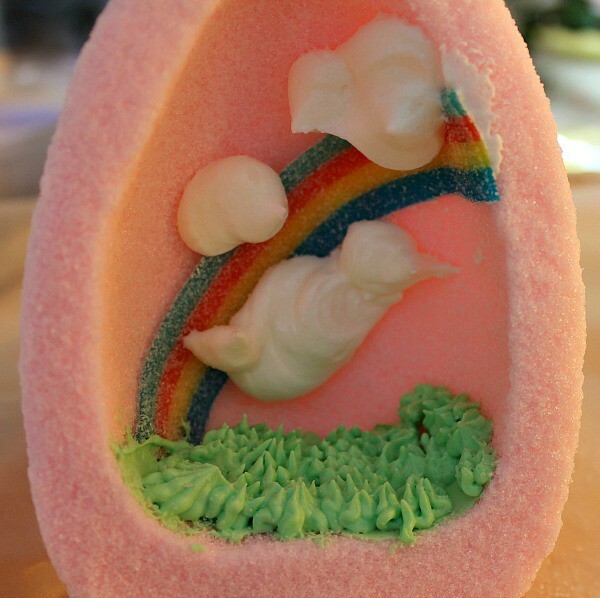 Add a rainbow if you like, by “gluing” a piece of multicolored sour licorice strip to the back of the egg with white icing–or pipe your own rainbow using several colors of icing and a round decorating tip. Add a simple scene. 11. To decorate an upright egg: Before you begin decorating, hold the egg halves together and judge how much space you have. Decorations may be placed on the bottom of both halves. Make sure the “floor” of the egg comes almost up to the bottom of the hole for best viewing. If necessary, you can fill it in with a little green icing. Add a simple scene. 12. 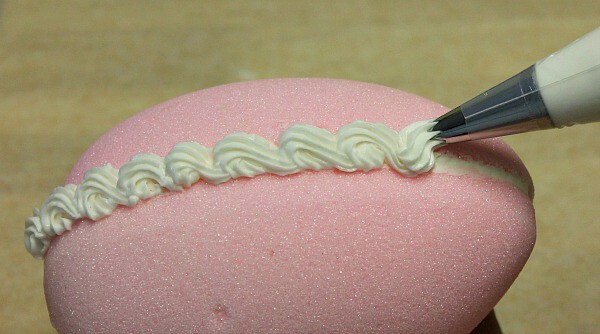 Pipe white royal icing around the edge of one of the egg halves and press the two halves firmly together. 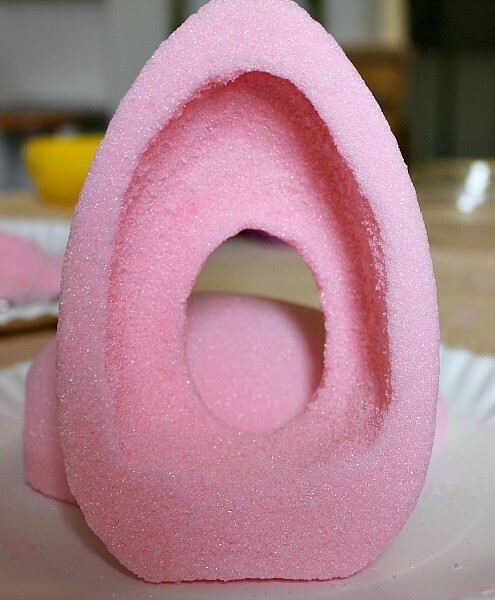 Wipe any frosting from the outside of the egg. Let it dry several hours (or overnight) before decorating the outside. 13. Pipe a decorative design around the seams of the egg and the viewing hole, using a tip that is an appropriate size for the egg. The edging for the large purple egg was made with a big “2D” drop flower tip, pushing backwards while squeezing, and then letting off pressure while pulling forward. A #21 open star tip was used for the smaller pink egg, with a motion similar to making a number 9. 14. 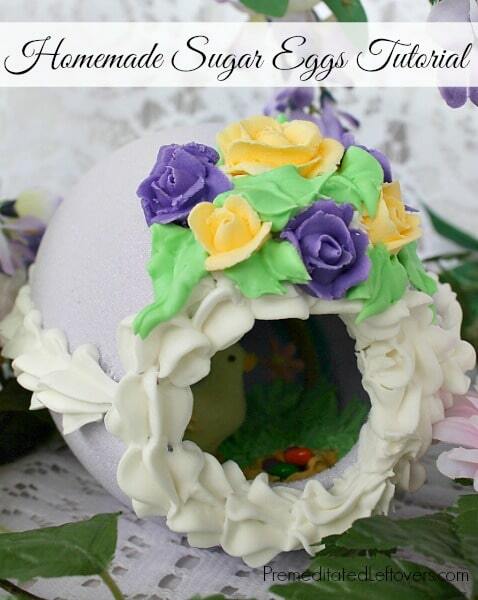 Add flowers, candy, or pipe a name on the outside of the egg. Let it dry thoroughly before moving it. There are many good tutorials on the Internet for piping flowers and shapes, but here is a quick lesson. Rose tips are wide at the base and narrow at the top. The roses used on these eggs were made with a #104 decorating tip. You may want to get a decorating tip set that includes the #352 Leaf Tip, so you can add leaves to your flowers. Cut a small stack of 1 ½-inch waxed paper squares. Put a little frosting on a rose nail (or a meat thermometer) and place a waxed paper square on the frosting. 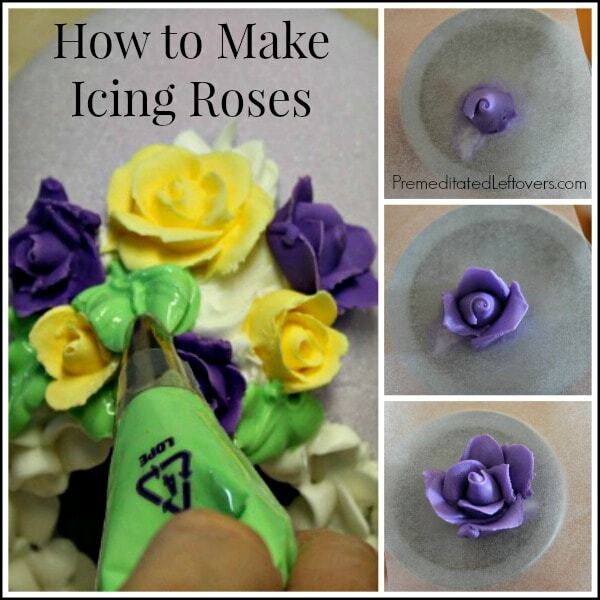 Put desired color of frosting in a piping bag fitted with a rose tip. Always holding the wide side of the tip down, make a small cone in the middle of the paper, turning the stem of the rose nail as you work. Add 3 petals, squeezing the bag and overlapping the petals a little. Add another layer if you wish. Slide the waxed paper and rose onto a flat surface. Allow the flowers to dry for several hours. With a tube tip (or a sturdy plastic zipper bag with the tip cut off) squeeze out two small feet, and behind them, two larger legs on a small square of waxed paper. Add a pear shaped body going from the front feet over the hind feet, allowing the frosting to build up as you go. On a separate piece of waxed paper, make several ears. Let the body and the ears dry for 1-2 hours. Add a head over the front legs and gently press the ears into it. You may have to hold them up for a minute or two if your frosting is soft. Let the bunny dry thoroughly. Give him eyes with a toothpick dipped in a little melted chocolate. (Microwave a couple of chocolate chips for 15-20 seconds for this) and paint the ears with a bit of pink icing. The completed Sugar Eggs will last for a long time. If you wrap them up and protect them they will last for years. 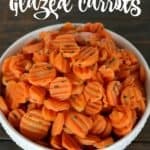 You won't want to eat them, but the sugar acts as a preservative and will prevent them from rotting. 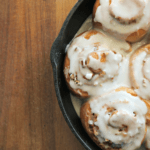 You can find Lorinda sharing her recipes and cooking tips at The Rowdy Baker. These are spectacular! I don’t know if I’d have the courage to give them a try, but I sure would like t! We used to make these in school when I was little for Easter and that was @ 50yrs ago. Thank-you for reminding me how much fun they were to make!!!! Oh my goodness! I remember these eggs when I was a child but haven’t seen them since. Thanks so much for putting this tutorial together. 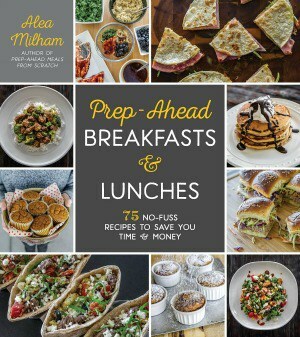 I don’t know if I will make them this year, but definitely pinning this for in the future! My neighbor used to make these when I was growing up. I was always so fascinated with them. Your tutorial is great! Thanks for sharing on Something To Talk About link party! Hope to see you next Monday! This brings back memories of when I was a child, receiving one of these from my teacher. I was so amazed at the work put into it, and still remember that very fondly! I have always wanted to make one and you make it sound so easy! Pinned it. Found this on You’re Gonna Love It. These are so beautiful! You have a unique talent and very creative. I’ve always wondered how these are made. Thanks for sharing at Inspire Me Mondays. My grandmother and her friends used to make these over 55 years ago. They would spend all day on them. They were magical for me. I have a very old sugar Easter egg a student gave my grandmother – approximately 50 years ago. My grandmother gave it to my daughter. It has turned brown but the magical scene inside brings back memories from when I was young & we were permitted to hold it and look inside – very carefully. I am excited about making one to decorate with my daughter (grown now) to pass down. Memories are so important, whether remembering them or making new ones.